This listing is an add-on to the personalized Chalkboard Poster. 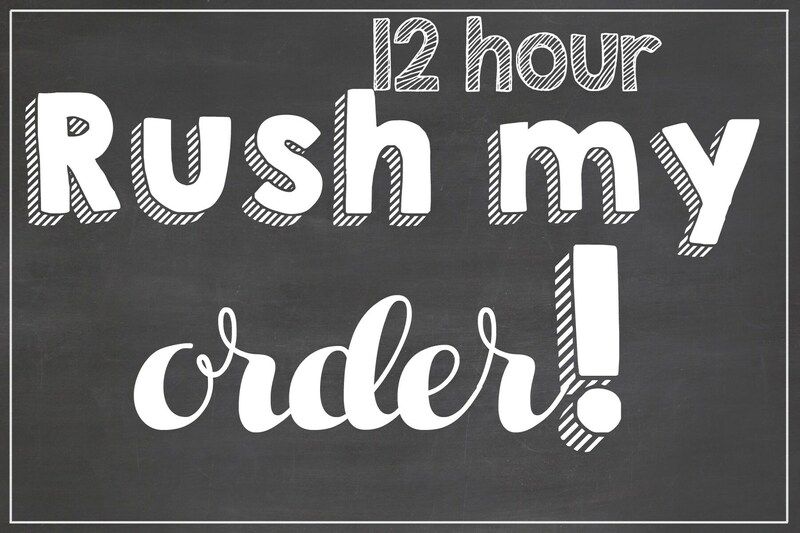 This rush fee will put you at the top of my list ensuring your order will be complete within 12 hours of purchase (if ordered before 5pm, you will receive the file same day). If you are in a pinch or need your item with a super fast turnaround you can add this to your selected purchase.